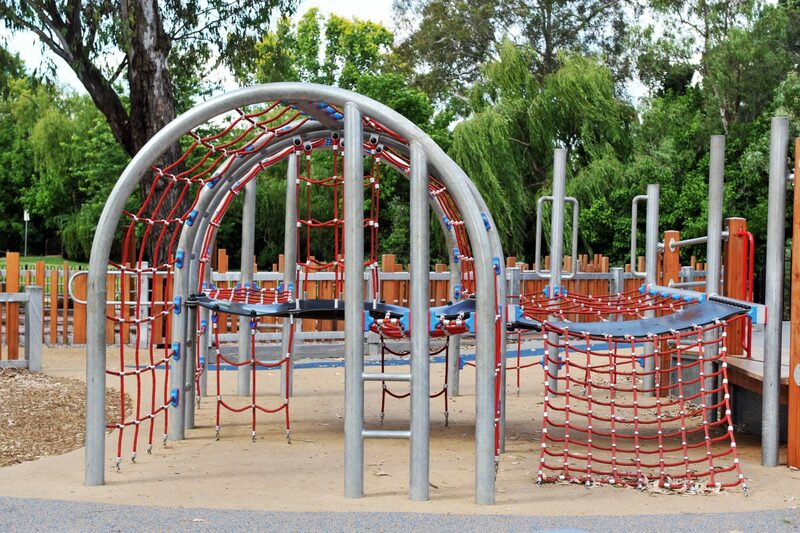 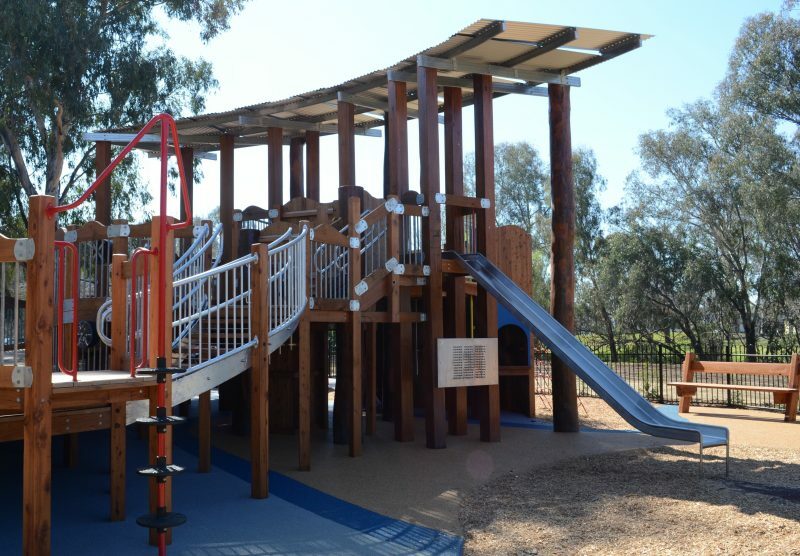 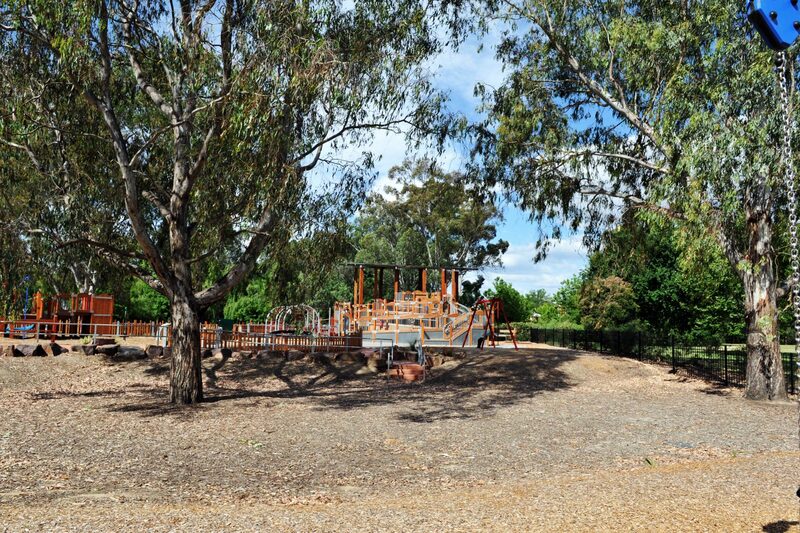 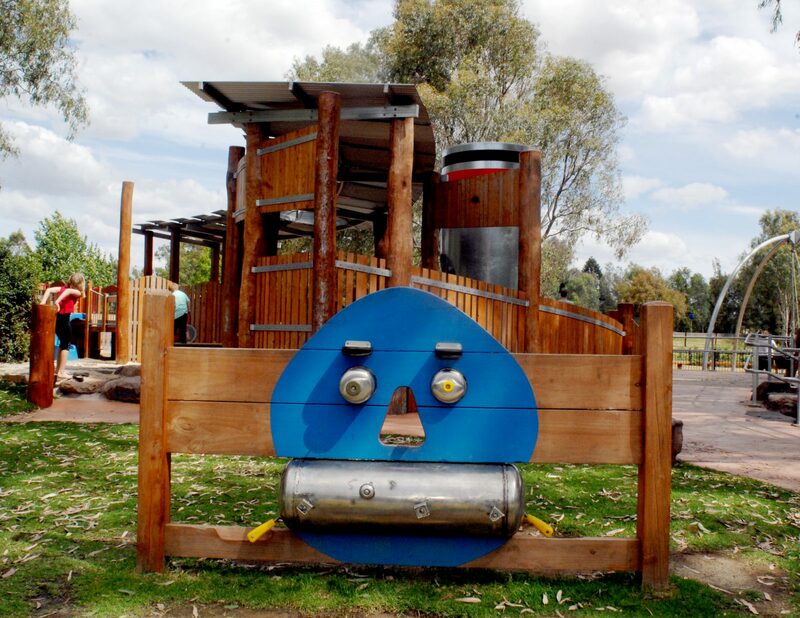 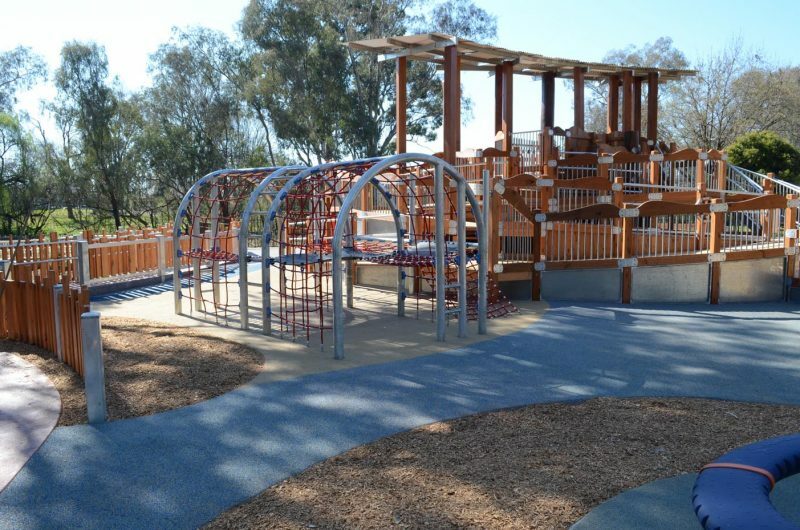 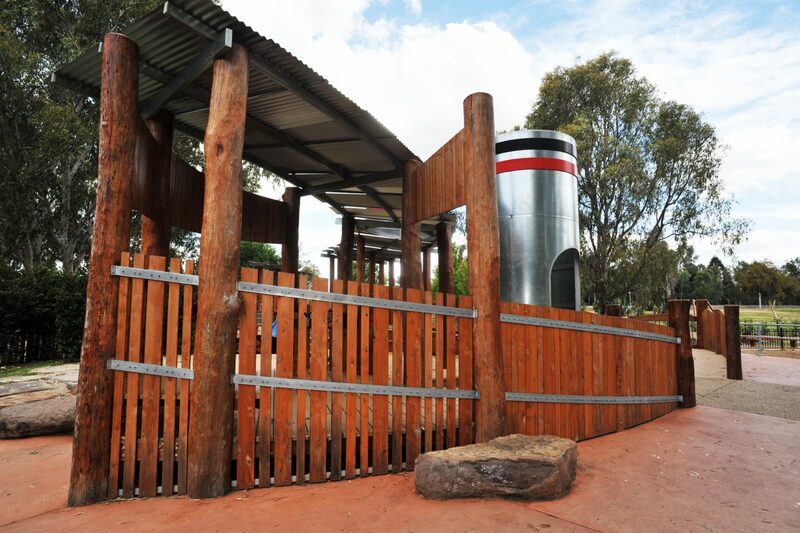 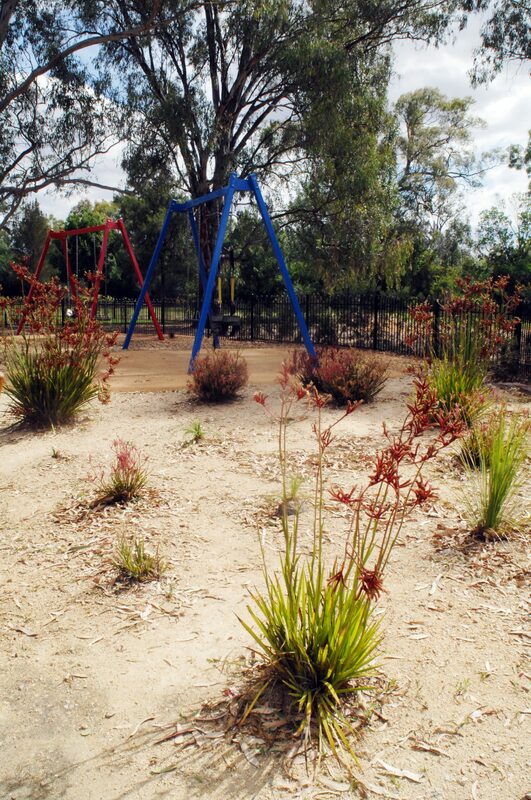 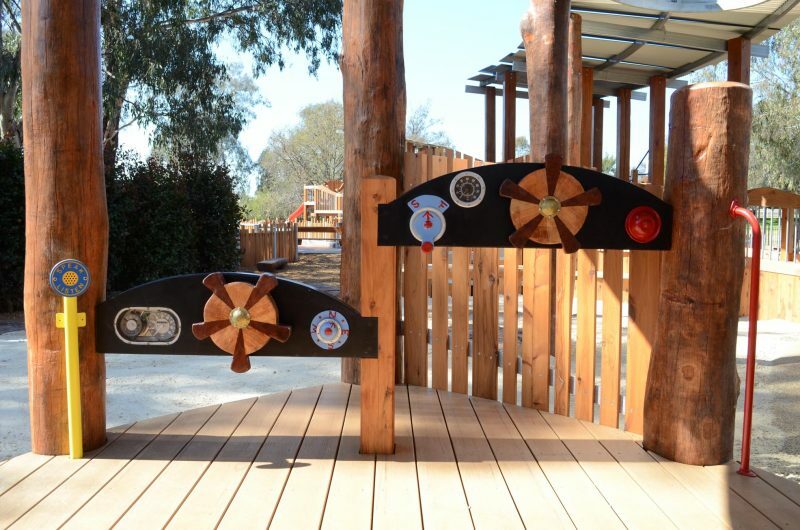 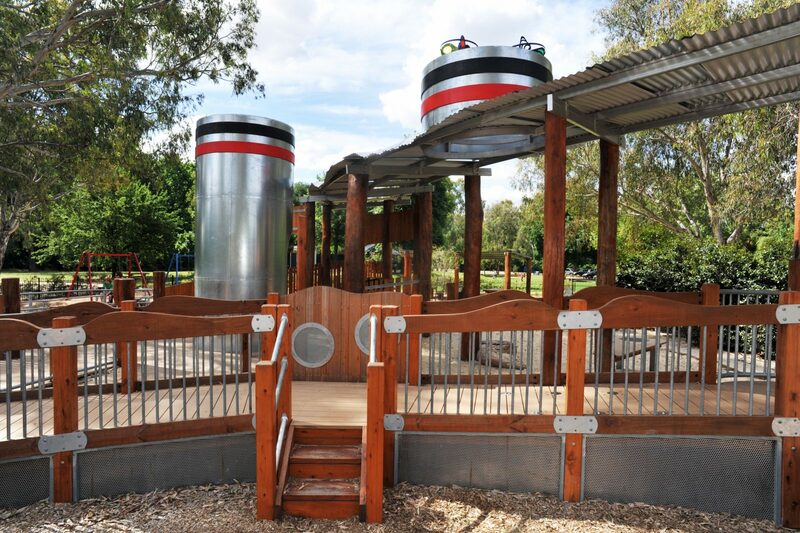 The new Oddies Creek Park Adventure Playspace is one of Albury’s flagship regional inclusive playspaces. 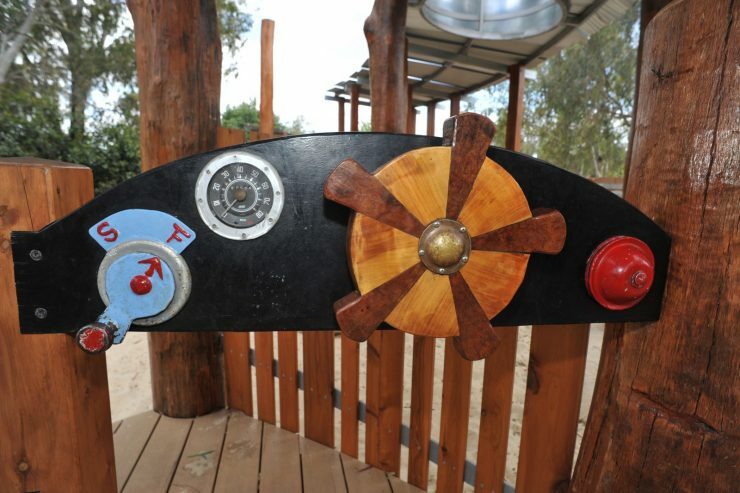 It is located close to a bend in the Murray River, with a unique design abstracted from paddle steamers and shearing sheds. The retention of the existing red gums and location of the site within the 1:100 year flood level were identified early on in the design process. Jeavons retained all the red gums and designed around the trees, retaining the idenity and character of the a site that is situated by the Murray River. 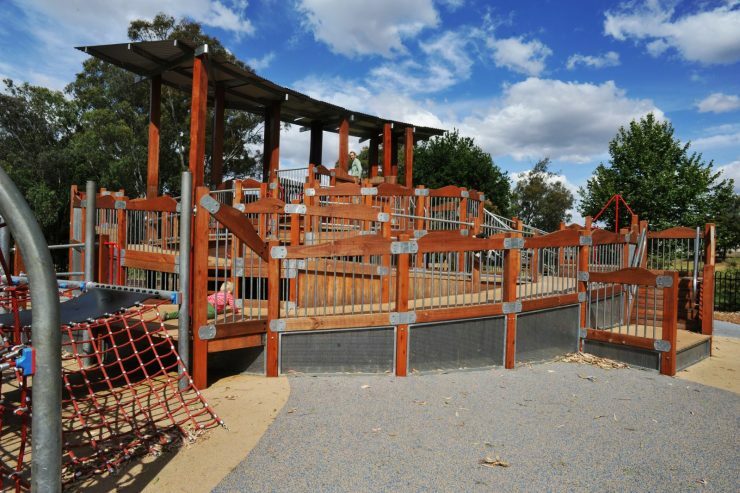 To deal with peak flow events, the playspace had to be located on an elevated mound to prevent it from being inundated during peak flow events. 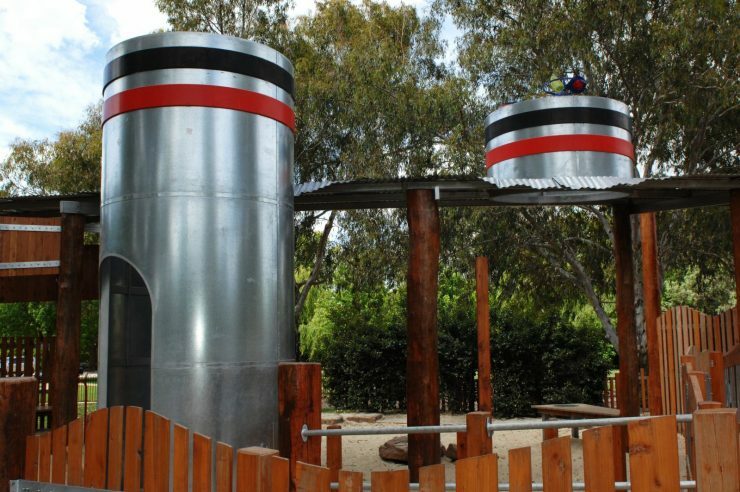 The iconic paddle steamer takes advantage this elevation by providing a vantage point overlooking the entire playspace whilst being a landmark in the landscape. 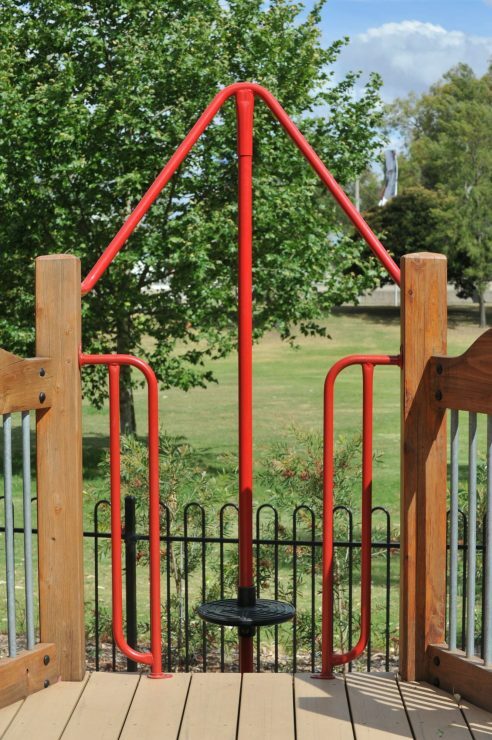 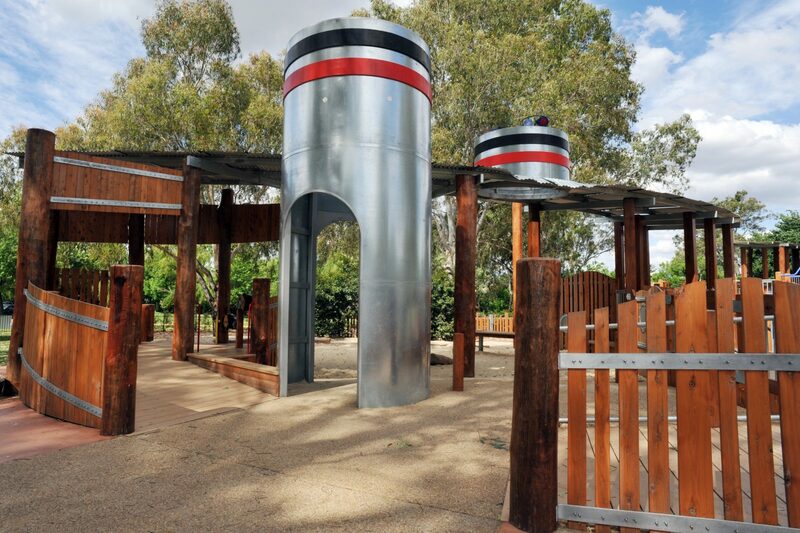 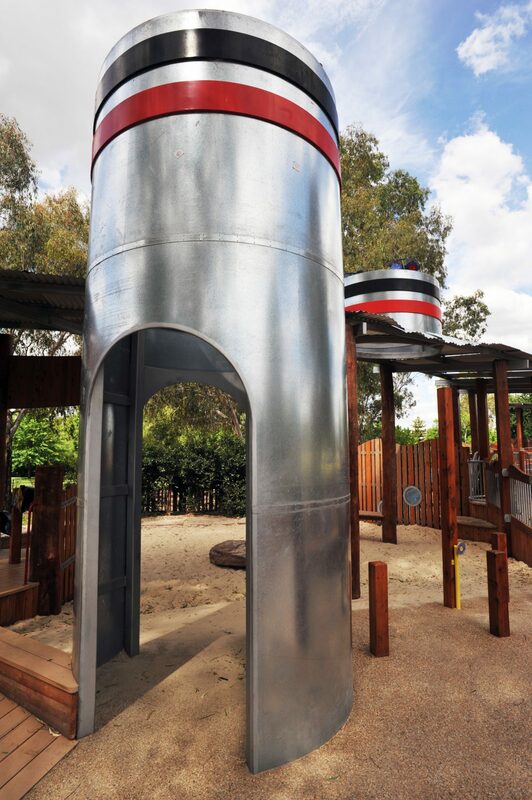 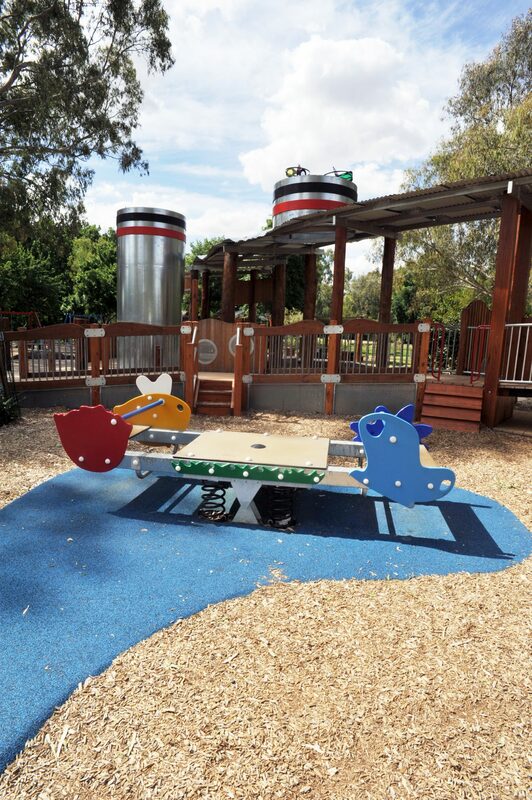 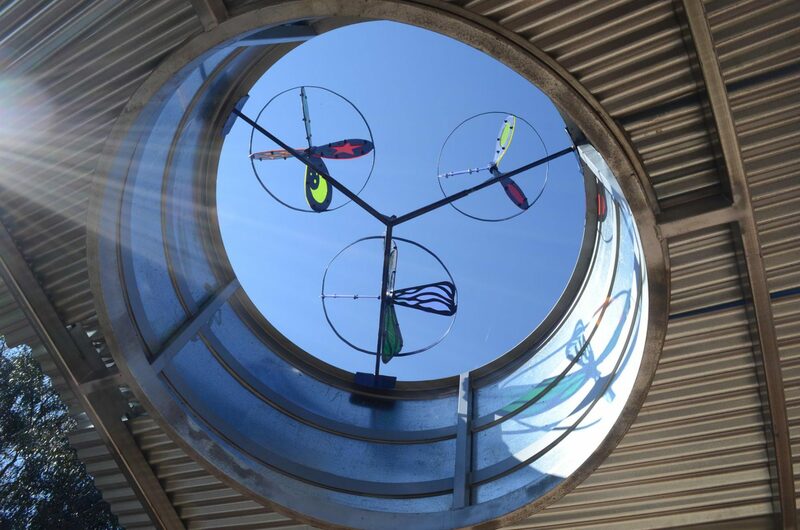 This inclusive playspace caters for all ages and abilities and also features a flying fox, basket swing, toilets, BBQ and picnic area, musical sculptures, sandpit and climbing walls.